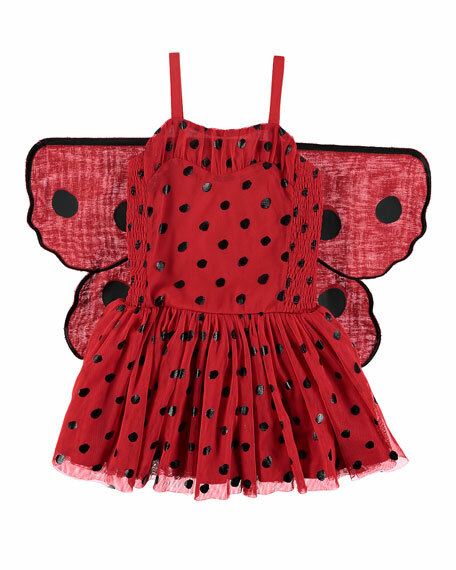 Stella McCartney Kids ladybug tulle dress. 3D wing detail at back. Elasticized and shirred at back.